WIth picturesque views at every turn and delectable snacks at every café, Switzerland is a travel destination that never disappoints. 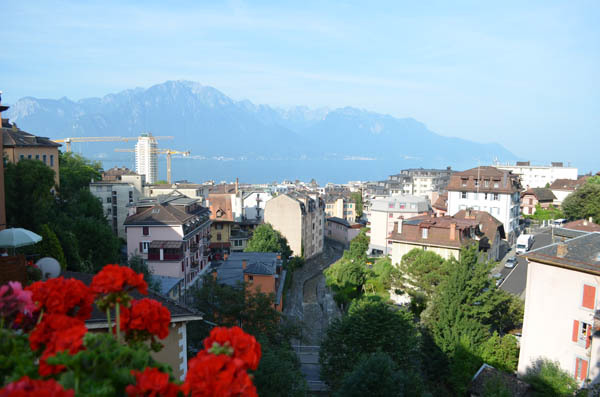 In 8 days I explored 3 beautiful cities – Neuchatel, Montreux, and Lausanne – to visit family and friends, get some much needed walking-exercise, and see Prince in concert. Luckily the weather was gorgeous during the week I was there and my Nikon D500 and my iPhone captured the trip beautifully. 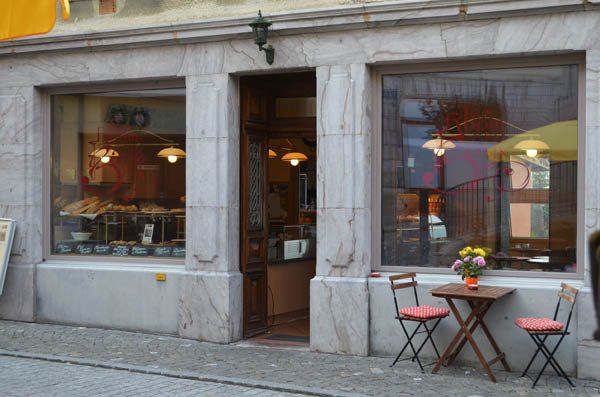 Located along Lake Neuchatel is a quaint city called Neuchatel. My grandmother lives a little north of the lake, so this city holds many memories for me since my first visit when I was 10 years old. For the first weekend of my trip, I spent time chatting with my grandmother and enjoying the weather near the lake. 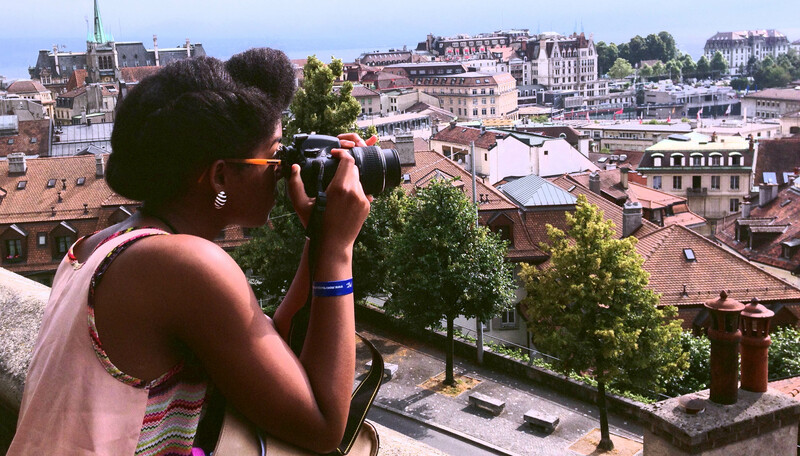 Montreux is an artsy and tourist city on Lake Geneva. With cobblestone streets, sail boats with a view of Southern France, and a statue of Freddie Mercury, Montreux is a lovely city to explore. 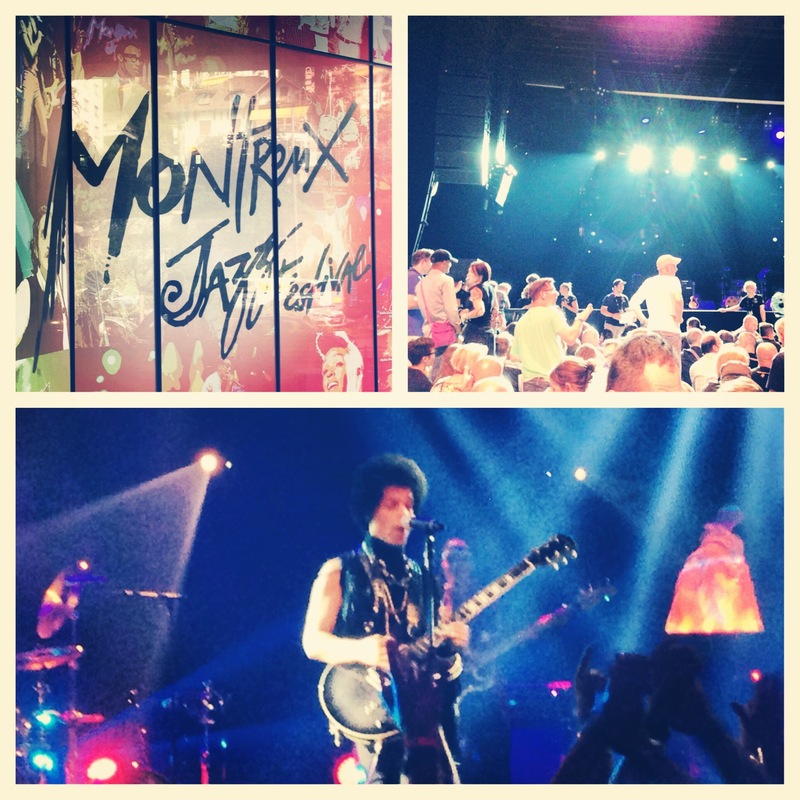 It is also home to the Montreux Jazz Festival – a 2 week festival that showcases established and independent artists from around the world within pretty much every genre of music. There are many winding streets and pedestrian walks that are primarily built on an incline. With the amount of walking I did, I think I did enough exercise to last me for the rest of the year. The weather was beautiful, but a bit warm for that kind of walking. If you are planning to visit in the summer months, pack comfortable shoes and light clothing. Since everything is placed on an incline, it is pretty easy to explore without getting completely lost because the lake is a vantage point. Of course, there are cute cafés with a great view of the mountains and the lake and really nice people to start your happy morning. I had breakfast twice at a café called Tea Room. The couple who works there are really welcoming and make you feel as if you are at home. Now for the entertainment. The way the festival is set up, there is activity that stretches along the lake side from vendors, food, and venues. The merchandise kiosks vary from beaded trinkets, t-shirts, figurines, and funny hats. My one disappointment was that there were no vendors selling anything that looked authentically Swiss. Except for postcards that said “Montreux,” one could find the other stuff anywhere. Next are the food kiosks. They were organized by region, from Indian food to Chinese food to American food, there was something for everyone tasteful preference. I like how they decorated the seating area for each region – each section had there own small terrace near the lake with chairs that represented their region and their own music. After the food are the venues, ranging from an outdoor stage, a few intimate clubs, and an auditorium. 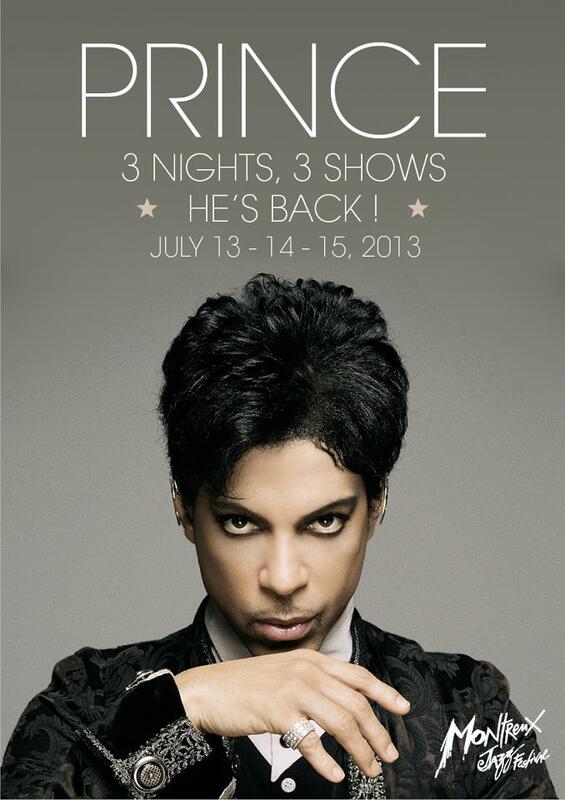 Prince performed at the Stravinski Auditorium from July 13 – 15. 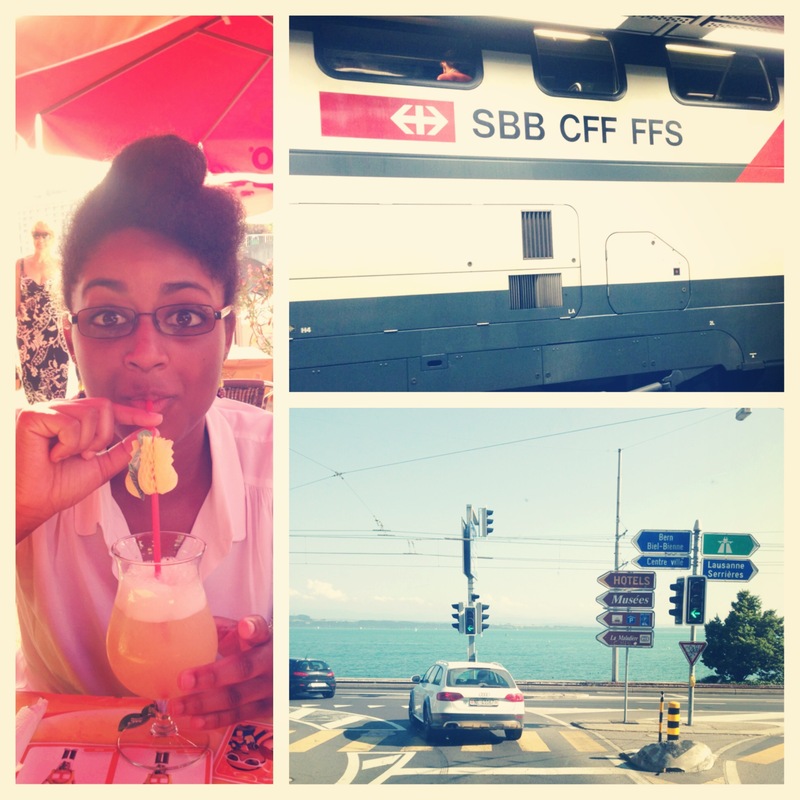 Why would someone like me travel all the way to Montreux to see Prince, you ask? Well, that questions requires a little story for an answer. I am big supporter of talent – real, raw artistry – and I prefer to experience them live. Even though there are some good artists coming up now in the industry, nothing can beat the classics. Thus, I tend to be the youngest person in the audience for the majority of the concerts I attend. Ever since Prince’s “Welcome to America” tour in 2010, I have been looking out for his tour dates hoping I can catch one of his concerts. As you might know, tracking Prince’s whereabouts is not an easy task. When I heard about his festival gig – months before the show happened – I felt it might be my only chance to see the Purple One. I went to the show on July 15th and it was quite an experience. First, the auditorium was set up with no seats, so the line was ridiculous hours before the show started. It snaked a few times inside and trailed outside along the sidewalk. Once they made the announcement for the doors to open, the line transformed into a rushing mob pushing against people and barricades to get in. They let us in 10 at a time while we had to raise our arms to show we had a wristband and get our bags checked. Then, the crowd runs upstairs into the theater to find a growing mass of people sitting on the floor in front of the stage. As the floor filled up, those who had balcony tickets took their seats. There was some smooth instrumental music playing while we waited for the show to start. Close to showtime, everyone stood up and rushed towards the stage. We then waited, standing, for the lights to dim. The audience was mostly white and in their late 30s or older. Looking around, I could understand why the unsatisfied rumors about Prince’s two previous shows were published. Apparently, he decided to perform only R&B and Soul tributes over the weekend and did not pick up his guitar. If that was true, I could see how the audience for this festival gig would not be able to appreciate such a mixture of music, which I find amusing because the festival markets itself as celebrating all genres of music. Nonetheless, as Prince loves it to be, no one in the audience knew what to expect. As the lights dimmed and flames appeared on stage, the crowd went wild after hearing Prince voice introduce his band “3rd Eye Girl,” whom you should totally read about here. Starting with the re-mastered rock-ified version of “Let’s Get Crazy,” the stage lights finally revealed the man of the hour. Wearing black flowing pants with a black top, a black rock vest with fringes, and his new signature afro, Prince had finally arrived. For an hour and a half, Prince performed a complete rock set with sensational guitar solos, from him and his guitarist, and intimate piano playing. His band was phenomenal, playing with an inspiring amount of energy and keenly following every improvisational musical move Prince made. The audience sang along and rocked out to every song. They must have enjoyed our positive energy because for the encore they performed two full songs – a beautiful ballad and “Play That Funky Music.” All in all, Prince delivered. Lausanne is the second largest city on Lake Geneva. It combines a dynamic commercial town with local flair. This European city pretty much offers everything – picturesque lakeside, unique museums, elegant architecture, varied night life, and multiple Italian food choices. I even got to experience my first Swiss night club! The main difference I noticed was the mixture of music – they played old school R&B, dancehall, Beyonce back to back, and 90s hip hop – which I really enjoyed. I also went to two museums – a photography exhibit and contemporary art focusing on plastic bags. The photography museum had a variety of showcases – classic portraits from the 1930s, candid photos of politicians, religion, and the oil industry in Nigeria. The contemporary art museum had a thought provoking showcase of how plastic bags are damaging the earth and glass artwork. Both exhibits were pretty interesting. 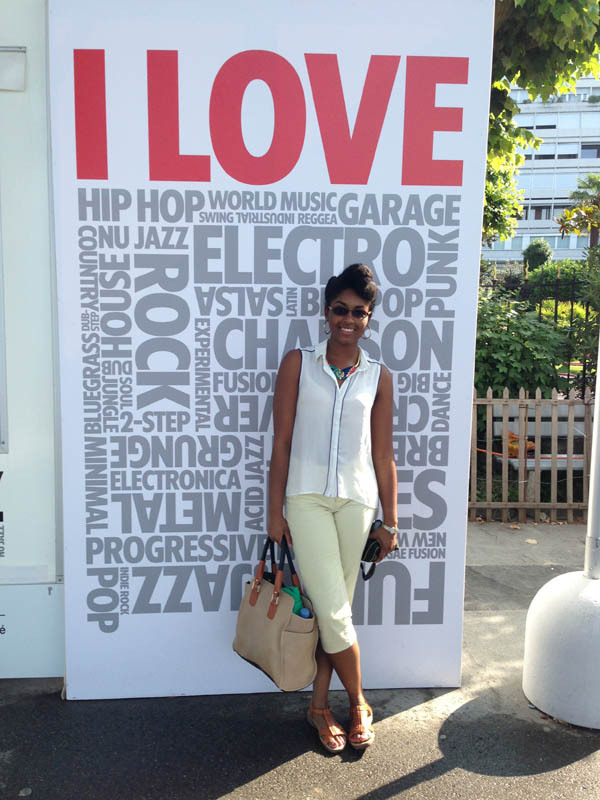 Overall, I really enjoyed my trip. From eating at café’s and Italian restaurants, window shopping while walking on cobblestones, breathing the same air as Prince, and exploring culture, I’m glad I was able to experience it all. I hope my description gives you some glimpse of my travels. Words and photographs can only go so far in telling a story. Below are my photos from my trip. Enjoy.